We all predicted a Khloe Kardashian and Lamar Odom divorce as soon as we all heard they got married after only dating for one month, but we were wrong. The marriage lasted a good four years and didn’t end because they merely got sick of each other like so many other boring celebrity romances. 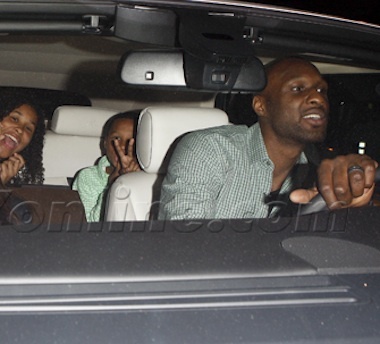 This one is officially ending after Lamar fell back into the arms of his old love, crack cocaine. Not to mention him driving down the wrong side of the road drunk and recording shirtless rap songs about cheating on Khloe. And of course, these are all things that were made painfully public, giving Khloe a handful of legitimate reasons to GTFO. His eyes have been more glazed than Krispy Kreme since the loss of his NBA career (specifically with the Lakers) and I’m sure his dark past (drug-addicted father, mother died when he was 12) didn’t help. 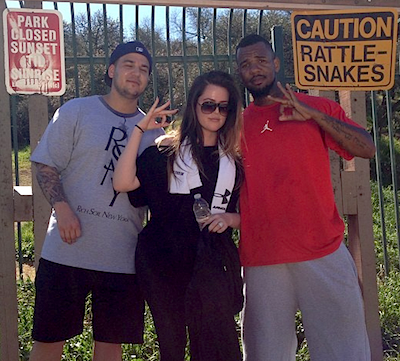 Dr. Dre protégé The Game debunked rumors that he is a “major threat” to Khloe Kardashian’s marriage because she jumped on his back once at a park. 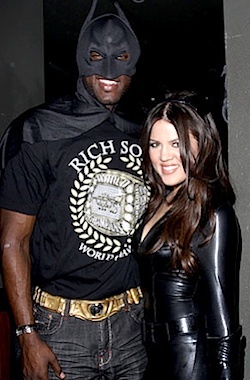 Earlier in the week, Star Magazine and Life & Style reported that Khloe spends night and day talking about, texting and thinking about The Game. Even when she’s in bed with her husband, she’s masturbating with a Nike shoe, dreaming about his face tattoos. Khloe Kardashian’s husband, the 6’10” candy-addict is no longer a Maverick, but is he also not even a [decent] basketball player anymore? Only time will tell. 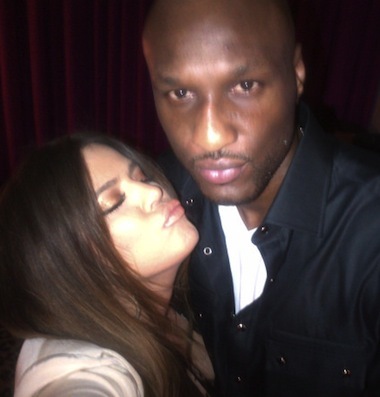 Many will say it was Khloe who sucked the life out of Lamar Odom (Yoko-style) when really it was the forced trade from his beloved Los Angeles that did it. The loveliness of Dirk Nowitzki seems somehow sadly gay/The glory that was Jason Kidd is of another day/I’ve been terribly alone and forgotten in Dallas/I’m going home to my city in the grey. OK, that song might be a little altered, and he really isn’t going back to L.A. yet. 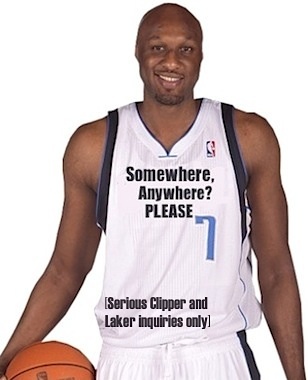 It’s official, Lamar Odom has been traded to the Dallas Mavericks after his original trade to the Hornets with Pau Gasol (to Houston) for Chris Paul was rejected by NBA commissioner David Stern. 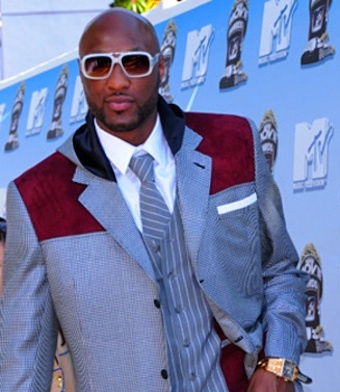 The trade came at Odom’s request. What this means for non-avid sports fans is a move for Khloe Kardashian, and a new location for one of four Kardashian-related reality shows, Khloe & Lamar. Who knows where the fate of Khloe & Kourtney Take Miami lies.